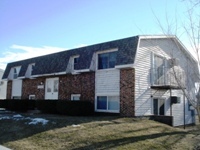 Spacious upper unit rental opportunity right behind Viterbo University. 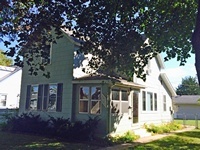 This unit features an in-unit washer & dryer, large front porch and a remodeled bathroom. Kitchen appliances are included: stove & refrigerator. Tenant is responsible for utilities and snow removal. A flexible lease term and a $825 security deposit are required. No pets and no smoking allowed. Great rental opportunity in a quiet residential neighborhood. This upper unit features air conditioning, off-street parking, coin-operated laundry and a large storage locker. Kitchen appliances are included: stove and refrigerator. Tenant is responsible for electricity. No smoking and no pets allowed. A 12-month lease and a $625 security deposit are required. Rare Manor Homes of Seminary Trail condo rental opportunity. This upper unit features an attached garage, an in-unit washer & dryer, central air, a wood-burning fireplace, an amazing 4-season sunroom and large closets. Kitchen is fully applianced with a refrigerator, stove and dishwasher. Garbage removal, lawn care and snow removal are included in rent; tenant is responsible for utilities. A 12-month lease is required along with a $895 security deposit. No smoking and no pets allowed. Convenient central location - right on the corner of Cass & 11th Street. This lower unit features a fresh paint, air conditioning, lots of closet space, off-street parking and onsite laundry facilities. Kitchen is equipped with a stove, refrigerator and dishwasher. Tenant is responsible for electric. No smoking and no pets allowed. A 12-month lease and a $840 security deposit are required. Beautifully remodeled upper rental opportunity in a great residential neighborhood. This unit features a new kitchen and bathroom, newer flooring, tons of storage space and a screened in porch. Kitchen appliances are included: stove and refrigerator. Tenant is responsible for utilities. A 12-month lease and a $550 security deposit are required. No smoking and no pets allowed. Reasonable rent! This spacious upper two bedroom unit is conveniently located just minutes from downtown. Appliances include a stove and refrigerator. One off-street parking space is included. Water, sewer, and garbage removal included; tenant is responsible for gas and electric. A 12-month lease is required along with a $525 security deposit. No pets and no smoking allowed. Newer construction! These units feature an attached single-car garage, a private balcony and patio, central air and lots of storage space. All stainless steel, eco friendly appliances included; side-by-side refrigerator, flat top stove with self-cleaning oven, dishwasher, microwave and front loading washer and dryer. Tenant is responsible for utilities. No smoking and no pets allowed. A 12-month lease and a $1025 security deposit are required. 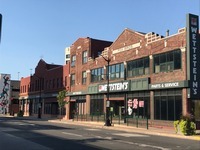 Quiet corner unit rental opportunity with all utilities included - right above the former Wettstein's building. This unit features bright windows overlooking 3rd Street, access to on-site laundry facilities and secured building access. Kitchen is equipped with a stove and refrigerator. No smoking and no pets allowed. A 6-month lease and a $450 security deposit are required. Occupancy is limited to one person. 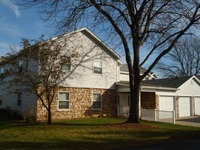 Amazing main level rental opportunity with heat included! This conveniently located duplex features a newer kitchen & bathroom, a 3-season sunroom, hardwood floors, large bedrooms, laundry hook-ups and tons of character. Kitchen is equipped with a stove, refrigerator and dishwasher. Tenant is responsible for electric. No smoking and no pets allowed. A 12-month lease and a $950 security deposit are required. Convenient central location - right on the corner of Cass & 11th Street. This lowerunit features a air conditioning, lots of closet space, off-street parking and onsite laundry facilities. Kitchen is equipped with a stove and refrigerator. Tenant is responsible for electric. No smoking and no pets allowed. A 12-month lease and a $650 security deposit are required. 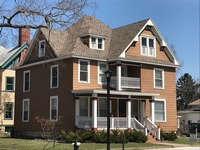 Convenient central location - right on the corner of Cass & 11th Street. This upper unit features a fresh paint, air conditioning, lots of closet space, off-street parking and onsite laundry facilities. Kitchen is equipped with a stove and refrigerator. Tenant is responsible for electric. No smoking and no pets allowed. A 12-month lease and a $650 security deposit are required. Convenient central location - right on the corner of Cass & 11th Street. This upper unit features a fresh paint, air conditioning, lots of closet space, off-street parking and onsite laundry facilities. Kitchen is equipped with a stove and refrigerator. Tenant is responsible for electric. No smoking and no pets allowed. A 12-month lease and a $860 security deposit are required. Newer construction � only 1-year old! Come and enjoy some of these great amenities at this gated apartment community: Air conditioning, private balconies/patios, onsite laundry facilities, a secured building w/security cameras and a bicycle storage building. All kitchen appliances are included - refrigerator, stove, microwave and dishwasher. One garage and one assigned off-street parking space are included with each two-bedroom rental. Tenant is responsible for electric. A 12-month lease and a $895 security deposit are required. Sorry, but no pets and no smoking allowed - property wide. Newer construction � only 1-year old! 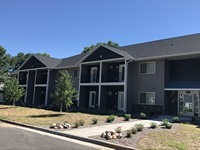 Come and enjoy some of these great amenities at this gated apartment community: Air conditioning, private balconies/patios, onsite laundry facilities, a secured building w/security cameras and a bicycle storage building. All kitchen appliances are included - refrigerator, stove, microwave and dishwasher. Tenant is responsible for electric. A 12-month lease and a $725 security deposit are required. Sorry, but no pets and no smoking allowed - property wide. 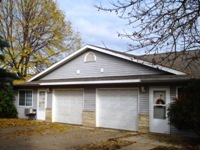 Ideal ranch style rental opportunity with an attached garage! 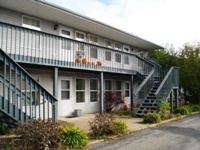 This unit features air conditioning, an in-unit full-size washer & dryer and newer flooring. Kitchen appliances are included; stove, refrigerator and dishwasher. Tenant is responsible for electric. No smoking allowed. One dog may be considered with a $500 pet deposit and an extra $50/month pet rent. A 12-month lease and a $825 security deposit are required. Very spacious upper rental opportunity - right behind Family Video. 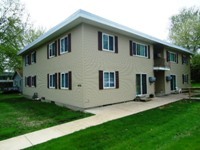 This unit features an in-unit washer & dryer, air conditioning and a detached 2-car garage. Kitchen appliances are included - refrigerator, stove and dishwasher. Tenant is responsible for electric. A 12-month lease and a $825 security deposit are required. One dog may be considered with a $500 pet deposit and an extra $50/month pet rent. No smoking allowed. Very convenient central location! This upper unit features a 1-car detached garage, one additional off-street parking space, fresh paint and lots of kitchen cabinet space. Kitchen is equipped with a stove and refrigerator. Tenant is responsible for utilities. No smoking and no pets allowed. A 12-month lease and a $595 security deposit are required.